June 27, 2016  After starring in Broadway shows like The Music Man and Candide, Cook struggled with addiction, then staged a successful second career as a cabaret singer. Her new memoir is Then and Now. June 25, 2016  It was once thought that evil resided inside the body. So murderers were dissected to find it. That macabre practice is the subject of a dark but funny new opera, "Anatomy Theatre." 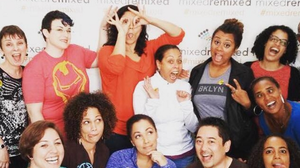 June 20, 2016  The Mixed Remixed festival isn't just for folks who are multiracial. It's about connecting people from all over the world who aren't always seen as belonging together. June 13, 2016  The shadow of a mass shooting in Orlando cast a pall over the 70th Annual Tony Awards broadcast, but host James Corden offered a spirited paean to "every Broadway would-be." 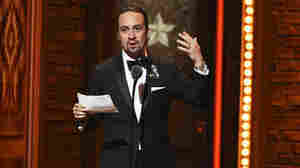 June 13, 2016  Tony Awards host James Corden and the night's biggest winners paid an emotional tribute to the 50 lives lost in a mass shooting at the Pulse nightclub in Orlando, Fla., on Sunday morning. June 12, 2016  Every year, NPR's Jeff Lunden talks to some of the hardworking people in the theater biz who aren't eligible for Tony nominations. June 7, 2016  On a prime block of Chicago's Michigan Avenue stands the Fine Arts Building. Producer and violinist David Schulman takes us on an audio tour with the people who know the building the best. 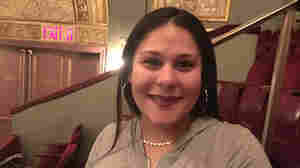 Julieta Cervantes/Courtesy of O+M Co.
June 6, 2016  Rudin, who started in theater at age 15, owes a lot to the producers who taught him his craft. "They were giants," he says. 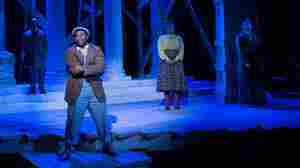 All five of Rudin's current shows have been nominated for Tony Awards. May 30, 2016  Anthony Hopkins says his turn as an aged and increasingly faulty actor performing King Lear in a small theater during World War II is one of his favorite roles in a career full of memorable ones. He stars in the BBC adaptation of the play, The Dresser, along with Ian McKellan. Hopkins, who seized pop culture fame in 1991 for his portrayal of the psychopathic psychiatrist Hannibal Lector, started his career in the British theater and has no sense of lingering romance about it. May 29, 2016  Beth Howland died in December at age 74. One of her best known roles, was as the original Amy in Stephen Sondheim's "Company." Looking into her past can lead you down a pop culture spiral. May 27, 2016  Haters (of a multicultural society) gonna hate, hate, hate, hate, hate. Meanwhile, Swift will continue to bask in her utterly unremarkable whiteness. 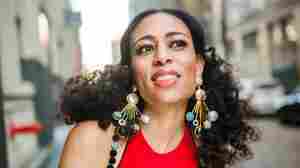 May 23, 2016  When Candice Hoyes sings, she's channeling a legacy of black women in jazz. Her album, On a Turquoise Cloud, celebrates the genre's storied roots.